Please report here if you find any regression. 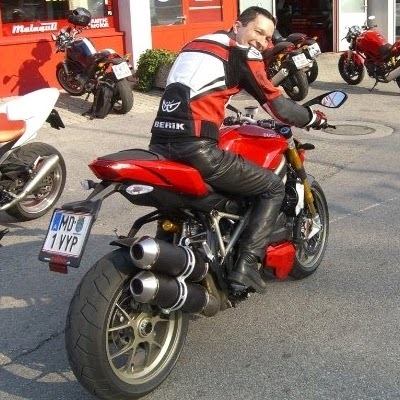 https://github.com/bruderstein/PythonScript/issues/92 is fixed with this version together with pythonscript v1.3. Thanks. problem is with horizontal scroller not the vertical. @abdelhameedma If you remove XML tools plugin, does Notepad++ still crash? @chcg Thank you for your heads up. It’ll be updated in the next release. After doing a file search for text, a right-click copy command no longer copies the file the text was found in. A paste only shows the text found. Are you talking about the 7.5.9 release? I cannot reproduce the problem you describe. Could you provide the detail instruction to reproduce it? Don, maybe you can’t reproduce the problem because THERE IS NO PROBLEM! Switching documents looks like it now pre-renders the entire document before drawing to the screen, which freezes when switching to large Normal text files with word wrap enabled (no lag with word wrap disabled). eg. from a small but noticeable half second for 250k words, to several seconds for files with 3 mil words, on a stock ryzen 5 1400 cpu. Prior, it still took time to calculate the vertical scroll bar (the same times as above), but still instantly drew the document the moment you switched to it, so you could read, write, mousewheel around, etc, while the vertical scrollbar worked itself out. I imagine from the patch notes that the change is a fix or workaround for bugs or something (I don’t actually know), but I usually work with big text files, so it’s definitely annoying for my use case. Notepad++ is of course mostly for rich text editing, instead of bulk text editing like this, but it still worked great and is my favorite for any related task, so it’s worth mentioning at least. I would like to confirm @Fox-E about the pre-rendering issue. I am also noticing a delay in not only switching documents but also editing them. I do not use word wrap but I do use code folding heavily and the problem only happens when a document has many folds and is currently all folded up. If I unfold all (alt+shift+0) everything is fast and responsive as it should be. If I start folding a few lines it is still ok but if I fold all (alt+0) then try to edit or switch to another tab and switch back, I see the processor spike for several seconds while n++ is completely unresponsive until the screen flashes and it comes back. Before this update, I too noticed the scroll bar taking it’s time to compute but the document would render and be responsive immediately, but now I have to constantly wait on renders if I want to continue to use folding. @Fox-E @Harold-Krueger-IV I cannot reproduce your problem at all, could you provide more detail info? also could you provide the last version that you used in which there’s no such issue? Is the N++ backup functionality switched on in your config? What is the period of the backups (the time interval set in the config for the backup)? @pnedev I do have periodic backup enabled but I just tried disabling it, restarted n++, problem still exists. @donho I always keep n++ updated so I was coming from 7.5.8 and did not have this problem before. Now, if I fold all (alt+0, and by the way this also takes several seconds to complete) and then unfold just one section and one comment block and just try to type some more text, I start seeing the freeze after a few keystrokes. If I unfold all (alt+shift+0), then the problem goes away and everything is very responsive as expected. @donho Coming from 7.5.8 , so the problem is new in 7.5.9 . I also tried @Harold-Krueger-IV 's method above, and have the same freezing issue when switching to a tab with lots of folded code. Install a fresh Notepad++ with 100% vanilla settings. Leave the update notes tab open. Open a new tab in Notepad++ with language as Normal Text. Enable View > Word wrap . Go to https://www.lipsum.com/ and ctrl+a copy the entire page. Paste into the empty tab. Paragraphs must be wrapping for the Normal Text version of this problem to show. Hold down the paste button for a few seconds. ctrl+a copy, then hold down paste for a few more seconds. You should now have a document of several million words and lots of wrapped lines. Switch tabs back and forth between the update notes tab and the huge text file tab; it’ll freeze while pre-rendering the huge text file’s word wrapping (or code folding, etc). In 7.5.8 , switching to such a large or heavily-folded tab will instantly display the document at the cursor, while rendering the rest of it in the background. If you watch the vertical scrollbar, you can see it slide and shrink as it does this, until the scrollbar pops to its final position. In 7.5.9 , it just freezes until the whole document is rendered, and only then displays it. 7.5.8’s method is the preferable, expected behavior in my opinion. The freezing is bad for lots of tabbing around, while the background rendering is unobtrusive and never gave me any usability problems.